Born in the Montmarte district of Paris on 17 January 1857, he 'early displayed inventive and mechanical talents of a high order' - before he was 23 he had filed patents for numerous devices. In 1886/7 he became chief mechanical assistant to W.K-L. Dickson at Edison's establishment at New Orange, where he stayed until 1892 and was involved in the first Kinetoscope experiments. For a while he worked on developing a gasoline engine for possible motorcar use, then in 1894 became associated with the Lathams and their Eidoloscope/Panoptikon projects, constructing projectors, cameras and printing equipment and shooting the first film for the machine; the Griffo-Barnett prize fight. 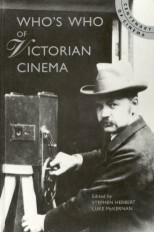 Years later, Dickson credited him with the invention of the 'Latham' loop and second sprocket, enabling much longer films to be taken. 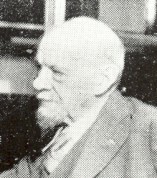 He subsequently worked with Jean LeRoy, and in 1896 Lauste joined Dickson at American Biograph, shot a number of films for the company, and for some time was in charge of their laboratory and experimental plant near Paris. Historian Gordon Hendricks considered Lauste next to Dickson and Muybridge as the most significant contributors to motion picture invention in the United States. Having long been fascinated by the possibilities of sound recording, particularly on celluloid film, in 1900 he started to construct some elements of a system. He left American Biograph in 1901, moving to Britain, and in 1904 built his complete apparatus for experimental purposes. It was very crude but he was encouraged, and applied (with backers R.T. Haines and J. St Vincent Pletts) for a British patent on 11 August 1906, for 'A new and improved method of and means for simultaneously recording and reproducing movements and sounds.' (This patent became a 'best seller' for the Patent Office when sound-film research reached its zenith in the late 1920s.) By now he was working at W.K-L Dickson's experimental laboratory in England, but Dickson declined to get involved with his sound experiments. With some funding by the London Cinematograph Company he made various experiments with light valves and oscillating mirrors to find a workable method of producing the necessary narrow beam of light, and by 1910 had achieved success with a vibrating wire acting between the poles of two magnets. About that time he started an association with German experimenter Ernst Ruhmer who had some success with recording sound optically with the 'Photographone', and in 1910 Lauste took his first experimental sound films in the garden of his home at Brixton, London. During a 1911 (1913?) trip to America he demonstrated his camera-projector, and shot at least one short sound film, and in 1912 began experiments to devise a pneumatic amplifier for his system. Although lack of capital and the World War meant that he was never to succeed in making his sound-film processes commercial, his researches and experiments were of lasting importance. Lauste's son Emile later became a film cameraman, and at seventy-two years of age, Eugène Lauste was still working, for Bell Laboratories.